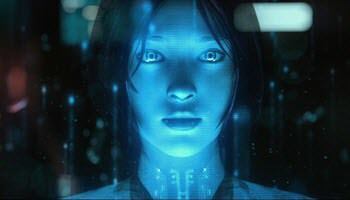 Cortana is your personal assistant. 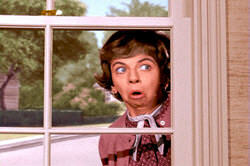 She is forever eavesdropping on your activity and searches. She perhaps knows your habits better than you. Not only that, but she shares everything she knows with her old pal Bing. For privacy-conscience people, this may be an unacceptable situation. Do not be dismayed, my friends, for I know a way to give them both a severe case of amnesia, and in this week’s Quick Tips article I am going to share it with you. Click the indicated button to either turn her On or turn her Off. Note: Your screen may differ if you are not using the latest Creators Update version of Windows 10. If so, you may have to hunt and peck a bit. This will open a Microsoft Privacy web page. You may be required to log in using your Microsoft User Name and Password. Note: You will also see several other buttons on this page that will let you clear other forms of information the data-hungry search engine is storing. Clicking this button will bring up the most annoying of windows, namely, the one that asks if you are sure you want to do what you just told it to do. Gads, I hate those things! It is clear that Microsoft is heading down the road of making things privacy-related more complicated for its users to control. The above exercise was actually easier in previous versions of the operating system. Some people are not bothered in the least by all the snooping these corporate giants are doing in the name of “providing better service” to its customers. Horse Hockey! What they are truly interested in is gaining as much information about individuals and their behavior as is possible. It’s worth a great deal of money these days and, let’s face it, money is the driving force in the corporate world. It is not, nor has it ever been, because they want to be your friend. There is an intrinsic flaw with this way of thinking. It has nothing to do with your guilt or innocence. The real point here is, the more they know about you, the more control they have over society as a whole. In all of human history, control is ultimately what bankers, politicians, and the government in general are craving. And information is power. This is nothing short of domestic spying in the most seemingly innocuous of ways. (It’s the boiling frog story.) If you think for a New York second that the likes of Microsoft, Google, Facebook, et al, are not sharing your information, then naiveté is too subtle a word. Not even your medical history is sacred anymore. Richard, I have a related question. I run Google Chrome as my default browser. Whenever I select something like “Manage my voice data that’s stored in the cloud with my Microsoft account” or another setting requiring connection to Microsoft I get the error “Google Chrome is unresponsive. Relaunch now?”. Relauching does not help. Sure! Just open MS Edge. If it asks to be your default browser, just say no. If there is a check box labeled something like, “Always check to see… blah-blah-blah…”, uncheck that box, and it shouldn’t bother you again. I guess I didn’t articulate properly. EDGE does not open, I just get an error, “Google Chrome is unresponsive. Relaunch now?”, when I click on “Manage my voice data that’s stored in the cloud with my Microsoft account”. CHROME (my default browser) is already open, but Windows makes a call to it that it cannot cope with. 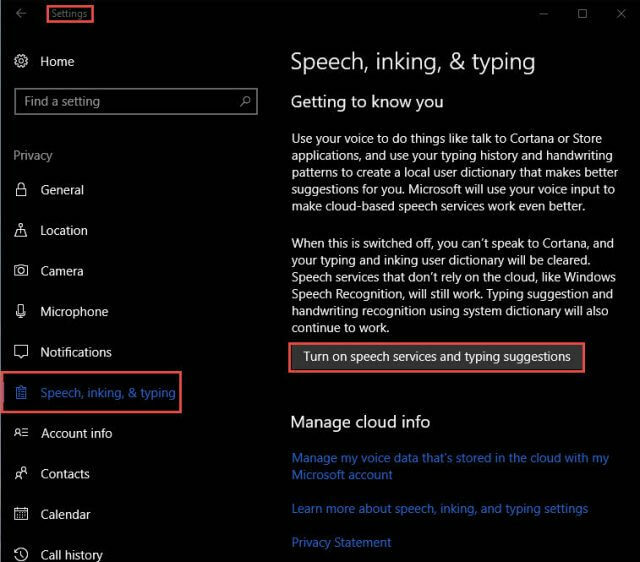 When I went into Privacy settings > “Speech, inking, & typing” and click on “Manage my voice data that’s stored in the cloud with my Microsoft account” Chrome starts but all the active extensions crash and the the browser locks with a blank screen. The only thing that works is to close the program. If this does not work, then we really must move this discussion to the DCT Forum. I moved this to the Forum. 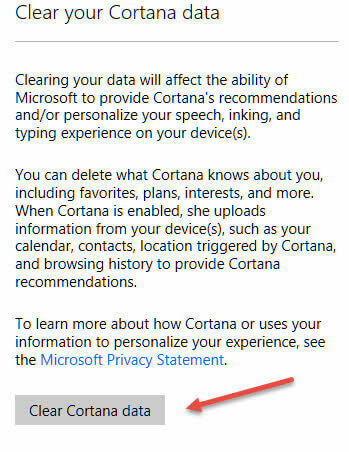 Thanks for your info on Cortana which is one of the features I turn off whenever I install Windows 10 along with notifications and other settings. I just wanted to mention I followed the link into the forum for Thomas Linton’s issue and noticed you mentioning the Waterfox browser which I have never heard of. So I decided to give it a try as I have used Chrome for awhile now. I like the way it handles my Gmail accounts which I have a few. Two weeks ago when Gmail started advertising that a new version of Gmail login was on the way I figured I was going to have problems and sure enough it broke my ability to use Roboform with it even after contacting Roboform tech support which could not resolve the issue. So I tried several password managers with no luck. Waterfox seems to have solved my problem so I’m going to run with it for awhile. Thanks again for your knowledge and time.